On travelling back from the Lake District today, I was keen to ascend an easy Marilyn. 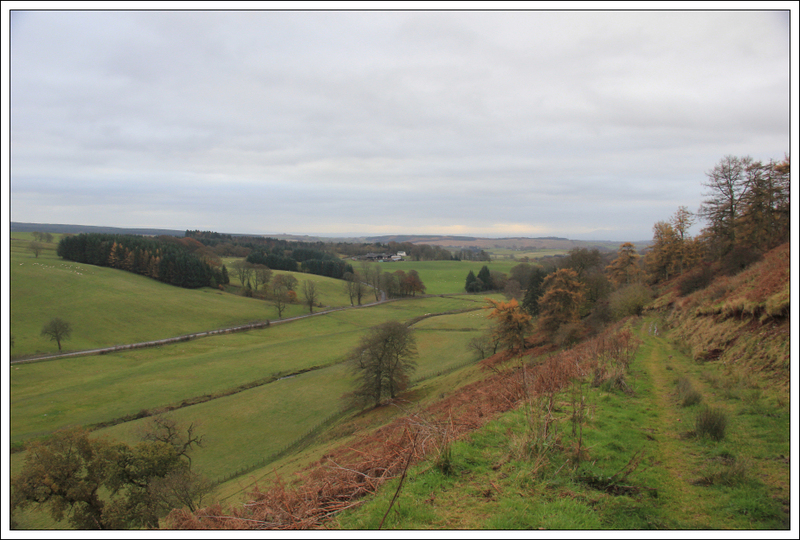 Grange Fell fitted the bill as it would require only a short detour from the M74 to get to the starting point. 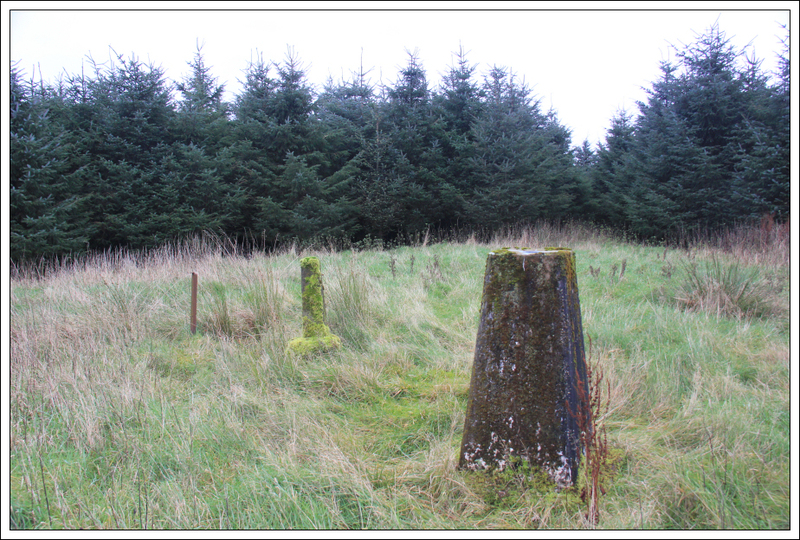 Grange Fell is located East of Lockerbie. 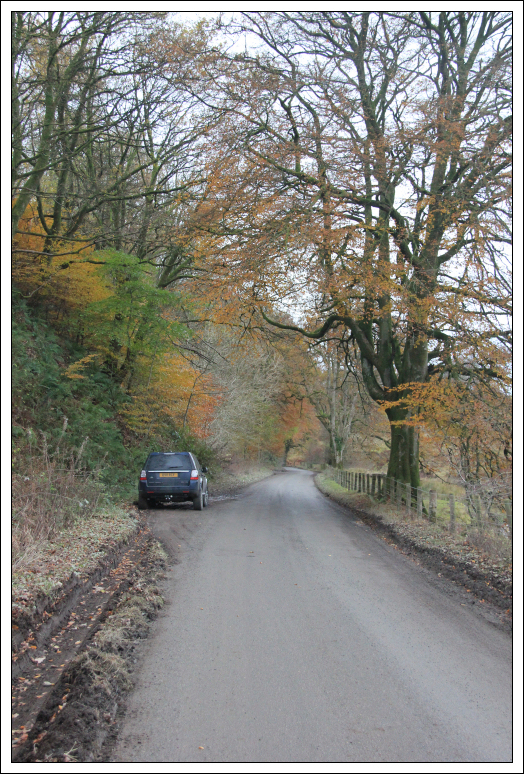 Thanks to Squiz for publishing a trip report for this hill on the Scottish Hills website, including details of parking. I parked just off the road a short distance away from the fork in the road. If parking here it is important to get your car tucked in as far off the road as you can. 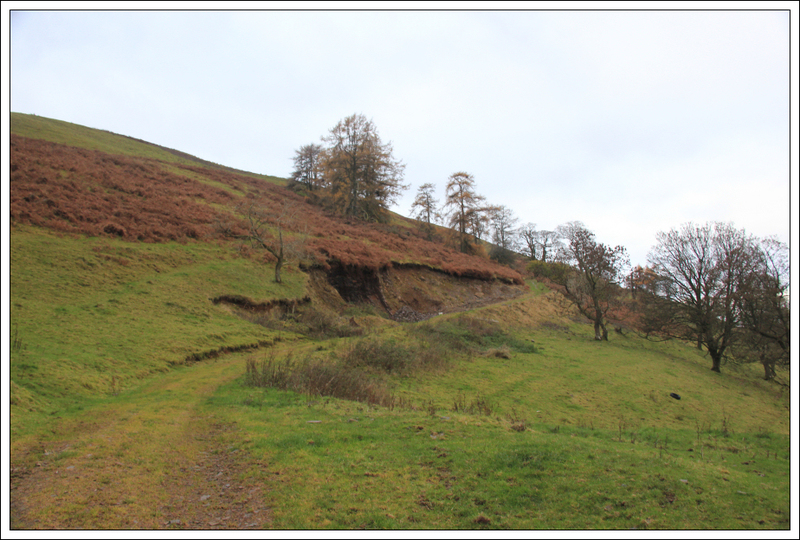 Today there was an almost continuous stream of lorries thundering along this road carrying aggregate from a quarry. 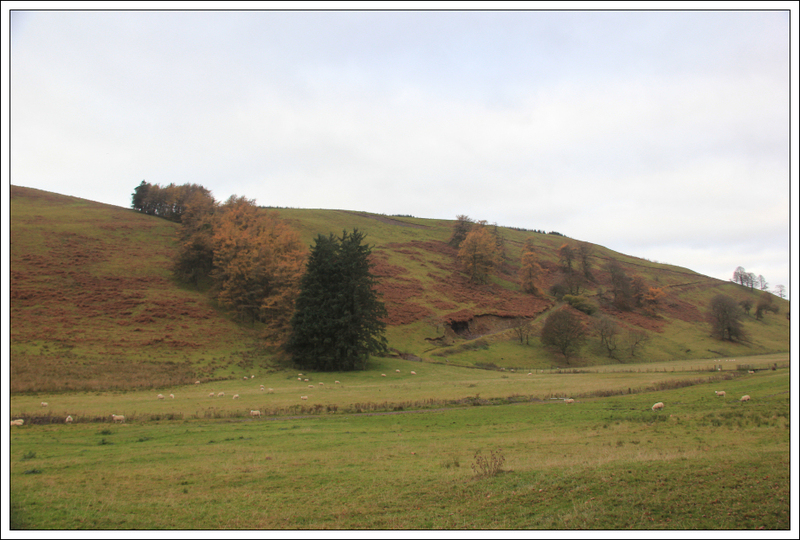 I walked a short distance along the road and then passed through three gates to reach the start of a track zig-zagging up the hill. The track making its way up the hill is excellent. On reaching the end of the track I made my way towards the corner of a barbed-wire fence. I avoided climbing over the barbed wire by climbing over a small wooden fence and then passing through a small wooden gate a bit further uphill. 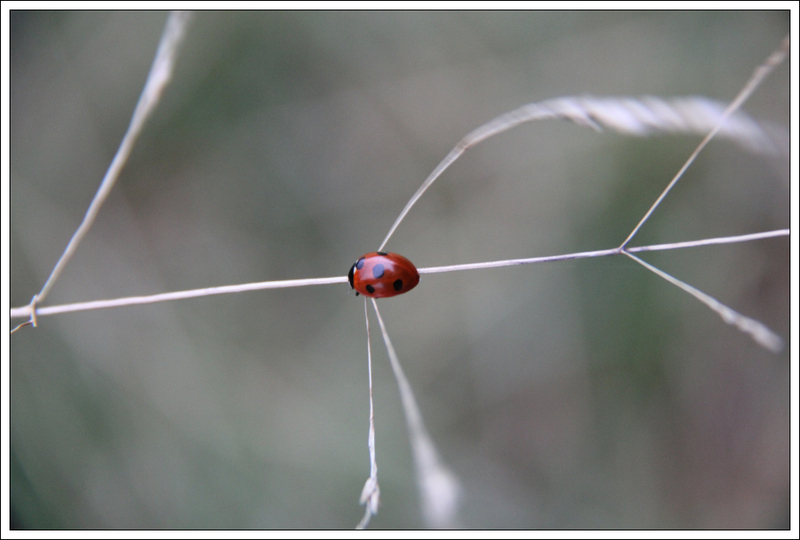 During the ascent I spotted a small splash of colour on a blade of long grass. I stopped to take a photo of this ladybird. 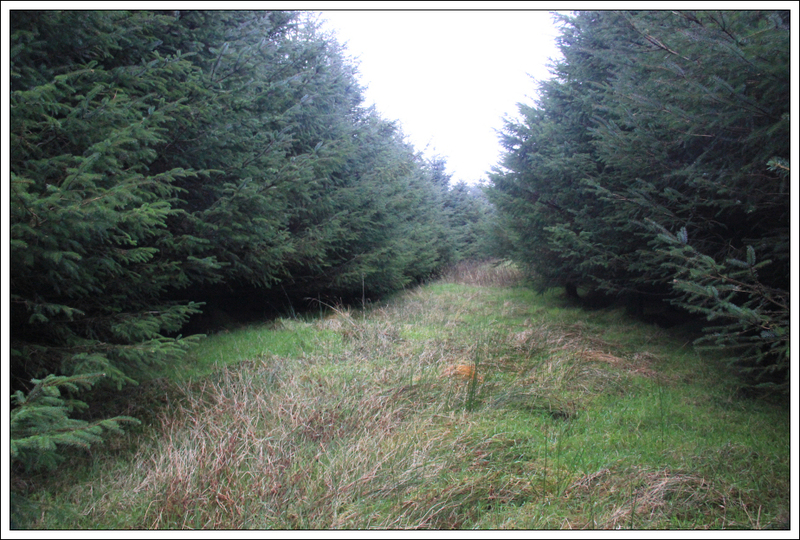 I then continued along the edge of the forest until reaching the high-point. 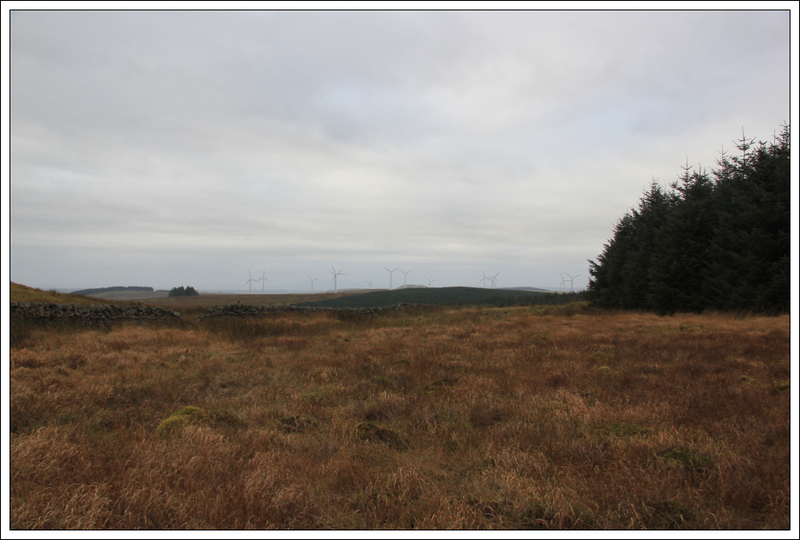 At the high-point I could see across to the windfarm on Risp Hill – an unpleasant site! I could see no way into the forest so I continued on for a couple of hundred metres but could still find no way into the forest. I therefore returned to the high-point. I entered the forest from the high-point crouching down to avoid tree branches. 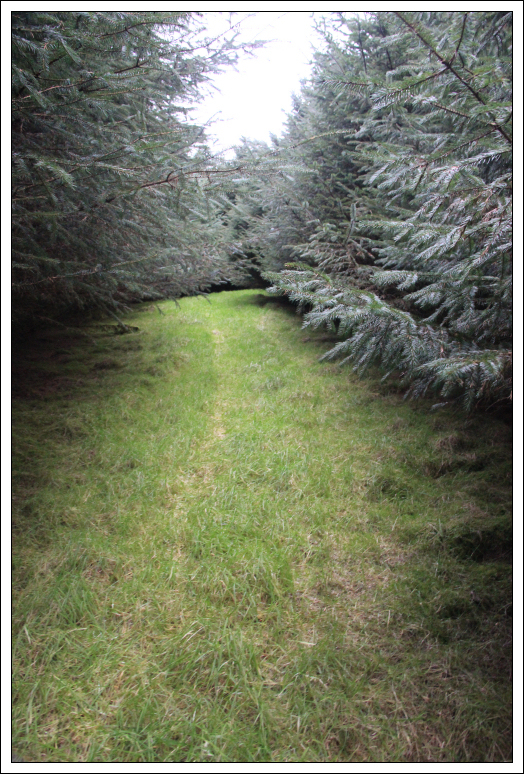 After progressing several metres in this fashion I followed a reasonably good track through the trees (see photo below). After walking under 100m through the trees I come out into a large firebreak. 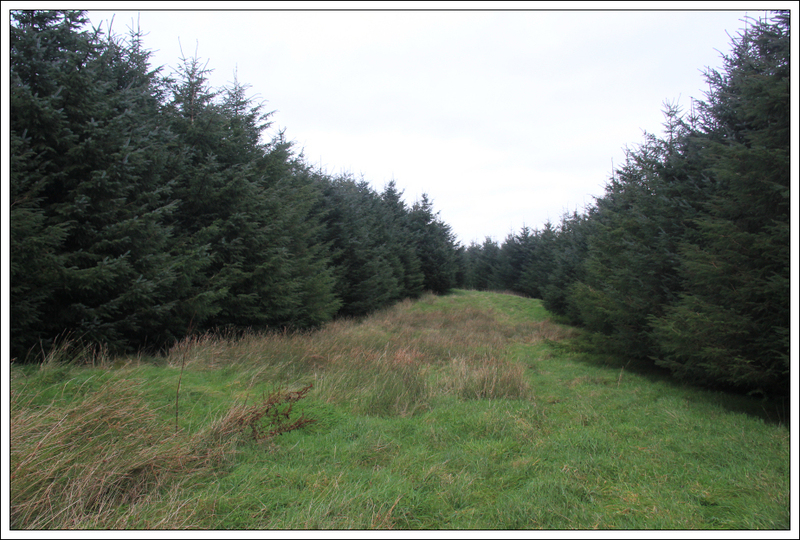 I then entered the trees again directly opposite the first track this time along a narrow ditch. After walking circa 50m through the trees I come out into a second large firebreak. 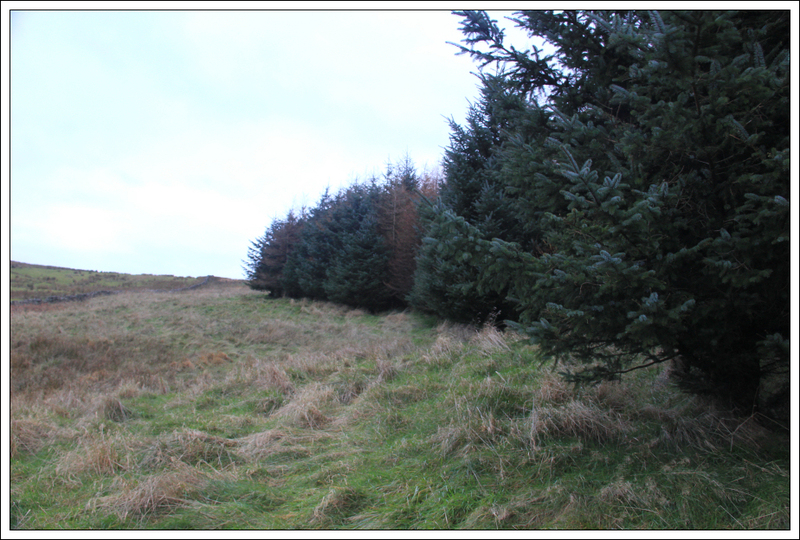 I then walked up this firebreak to arrive at the clearing with the trig point. Having Viewranger on my phone with the 10 figure grid reference programmed in was a great help for this one. At the summit I rested my camera on the small post and set the self-timer. 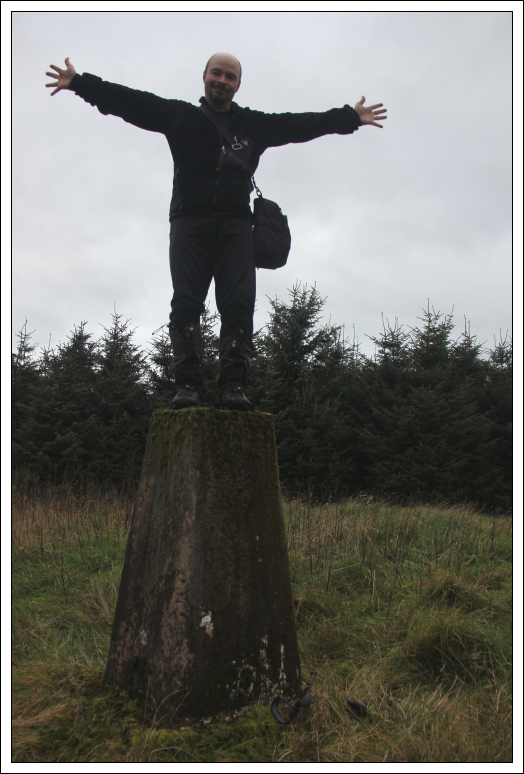 I then had 10 seconds to get from the camera onto the trig point. I reversed my route to get back out of the forest and returned the same way to the car.